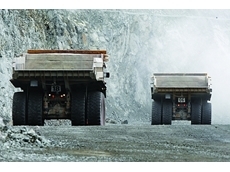 Overbalanced haul trucks present a risk to the operator, and damage suspension, so how can we tip the balance in our favour? 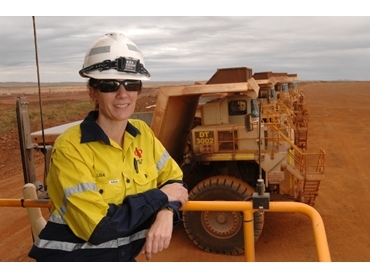 Lisa Mirtsopoulos works as a dump truck driver at Boddington gold mine. After working as a travel agent for more than a decade, Lisa Mirtsopoulos made a career change and found work in the mining industry. Since making the switch she hasn't looked back, and has gone from strength to strength after starting work as a dump truck operator. Mirtsopoulos now works at Boddington gold mine, and she's developed a small following after launching Dump Truck Discovery, a book telling non-mining types what they need to do to find work in the industry. Australian Mining recently spoke to Mirtsopoulos to find out more about her book and life as a dump truck driver. My role is basically to operate the truck, and move dirt from the pit to the dump areas. I have an extra role where I also train new recruits that come through. What shift do you work to? Currently I'm on 12.5 hours. Normally its 12 but Boddington has 12.5 so we can cover the changeover from day shift to night shift. How long have you been at Boddington, and where did you work previously? I've been at Boddington 14 months now. Previous to that I was at Cape Preston for Citic Pacific Mining, and then before that I was at Tom Price for Rio Tinto. My first job was at Murrin Murrin for Minara Resources. How different were the working conditions across these sites? The site and the working conditions for me are exactly the same, the only thing that was different was the kind of truck I was driving, and it only takes one day to adjust. The rules across each site are also very similar, maybe one or two might be a little different. What did you do before you found work in the mining industry? I was a travel agent for 15 years, and I spent a lot of time travelling around the world. But when I returned to Australia I found I could no longer afford to buy a house on a travel agent's wage. Soon after I met a girl who drove dump trucks, and she inspired me. I thought 'wow, if she can do it so can I'. It took me three years to get in because I had no experience, and it was only meant to be a two year plan to get a deposit for a house. Well, I had no idea I was actually going to enjoy the job and the industry so much that you can't get me out now. What kind of education did you gain to get the job as a dump truck operator? 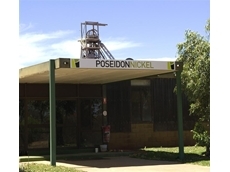 I was fortunate enough that at the time there was a six week training program conducted by Richard's Mining Services here in Perth (no longer operating). So to get onto the program I had to make sure I did some initial training, then apply to be on the program which was held on a mine site three hours north of Kalgoorlie. They actually paid me to be trained instead of me paying for a training program, and at the end of the six weeks if the mining company liked your performance then they offered you a full time role, which they did. Why did you decide to start Dump Truck Discovery? Over the years I developed a standard email I would send to people when they asked me questions about finding work as a dump truck operator. The idea for the book was born from attending a wealth mentoring program where we had to think of something over and above what we already do to generate extra income. I came up with the idea to just write a book with all the details people require. That way I could capture a wider number of people who are wanting to get in but just don't know what to do. What kind of information have you included in the book? The book provides some direction. If you've not been in the mining industry you don't know how it works. That's why it took me three years to get into mining because I didn't know how to get in. You don't know anyone in the mining industry and you just have no idea what to do. The book is written for people who don't know anything about mining or the industry. Have you received good feedback since releasing it? Absolutely. My first purchaser got a trainee dump truck job within three months. I've had people e-mail me and saying that they've found the book very informative and they're able to now have some direction about what to do to get into the industry. We've seen quite a few mining companies downsize expansions and cut jobs recently. Do you think there are still opportunities for unskilled people to find work in the mining sector? Yes I do. I keep up to date daily with job vacancies in the industry, and every day I see advertisements for dump truck operators. Companies are still looking for operators, but what they're doing is advertising for experienced applicants. At Boddington we recently advertised for experienced operators, yet we've still put on three trainees because we were unable to fill the quota. What are some of the hardest parts about working as a dump truck driver? Night shift took some getting used to. Working from 6pm until 6am when your body wants to sleep took a long time to adjust to. Working public holidays and special occasions can also be difficult. How long did it take to get used to night shift? You have to find out a routine that works for you to be able to sleep through the day and combat fatigue. It took me three or four months to work out that drinking coffee at night did not work, because that would keep me awake during the day as well. You have to find what works for you and it's a bit of trial and error. 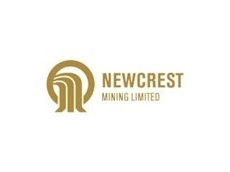 Do you have any advice for workers who are trying to find a mining job but don't have any experience? It's a very simple suggestion, yet a lot of people don't want to do it. You can get experience by working for a smaller company such as a contractor, or it can be as simple as working for your local council. I know you'll be operating machines that are much smaller than what we have on a mine site, but you are getting machine experience, and I know as a truck driver that if you've driven a fifty tonne truck its so much quicker and easier for me to train you on a 200 tonne truck. A lot of people don't want to do that though. They think they can hop straight into a mining job. Mirtsopoulos has plans to expand Dump Truck Discovery into a short training course. You can visit the website here or find it on Facebook.